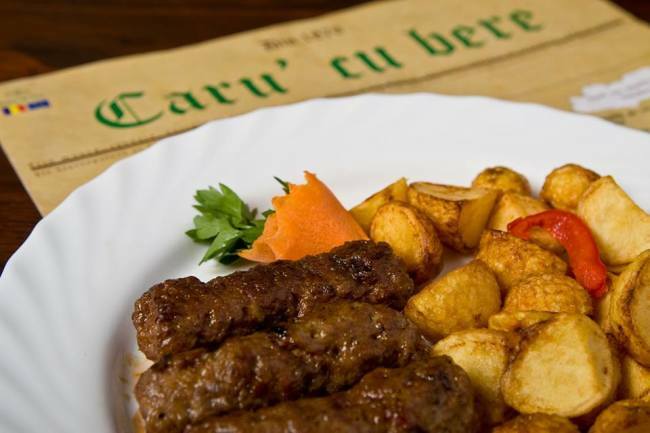 If you decided to visit Bucharest, there are things you should know about Romanian traditional dishes, get to know the most delicious recipes and find out some secrets and eating habits that go along the food experience. And do not forget: locals know best! After fasting during 48 days (the Lent is the longest fasting period in the Orthodox Calendar), Romanians celebrate with culinary specialties including Easter eggs, various salads with mayonnaise dressing, filled eggs (with a pasta made of yolks, mustard, mayonnaise, pepper), lamb specialties like Haggis (Drob), Lamb borsch (sour soup), Sponge cake (Cozonac) with cocoa and Turkish delight (rahat) filling or with sweet cheese and raisins (called Pasca – this is the Easter traditional cake). The Christmas Holidays are usually celebrated with pork dishes, as in the winter period, on December 20th, tradition says it is the holly time to butcher the pigs (Ignat). Even if people are not doing it anymore in the cities, there is still the tradition to gather the families at the countryside farms for this ritual, where the pigs are fed and taken care of the entire year, preparing for this moment. 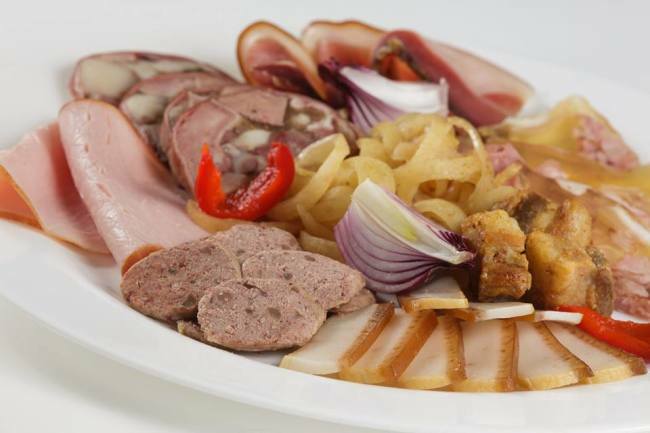 There are some dishes which are usually prepared right after the sacrifice moment, such as Pomana Porcului (Pork Fest), when parts of the fresh meat are fried in fat and served to guests and helpers. Another specific dish is the salted Pork rind (Sorici), pork skin from softer parts, which can be eaten uncooked or boiled with garlic. Pork Greaves are usually served at Christmas lunch, but they are also preserved and served during entire winter. Those are extremely fatty pieces fried in pork fat (untura), usually served as aperitifs with lots of bread and hot onion. 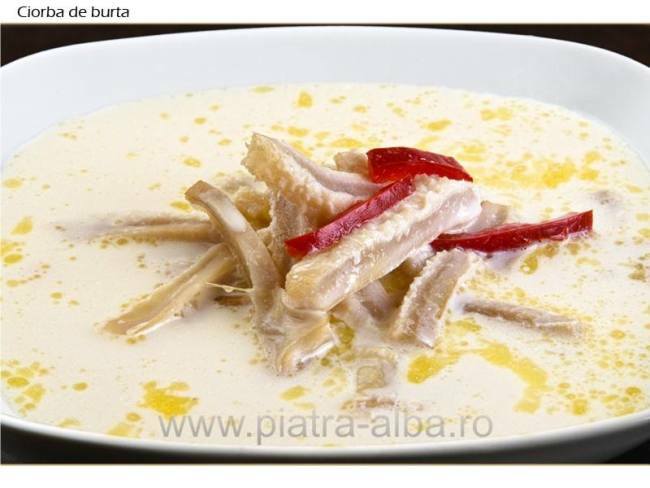 A jelly dish with pieces of meat and garlic, obtained by boiling and then cooling pork parts, Piftia is a winter dish, served as a starter. Secret: the secret is not to be a Vegetarian, as you’ll starve during Christmas. 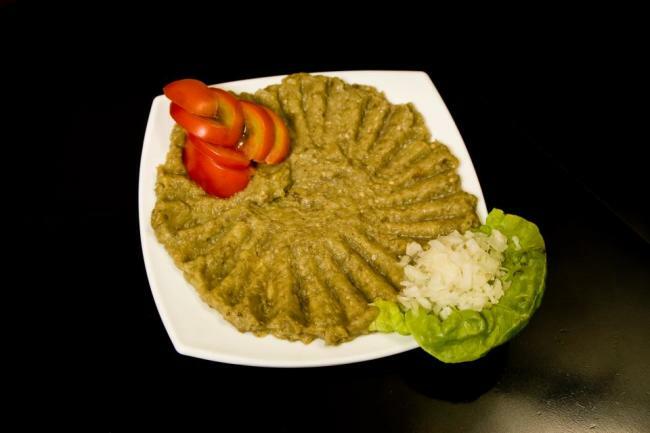 There is no Romanian traditional meal without Sarmale. Usually prepared during winter time and Christmas holidays, Sarmale is a dish made of rolled minced meat (pork usually) mixed with rice and herbs and covered in cabbage leaves. It is usually accompanied by Mamaliga (or Mamaliguta) - polenta made of boiled corn flour, as well as by hot peppers and sour cream. 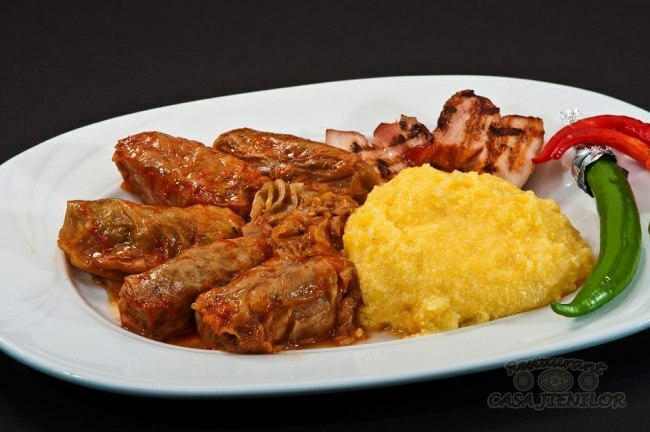 There are also other specialties of sarmale, in some Romanian regions, mostly prepared during warm seasons, replacing the cabbage with vine leaves. Secret: The cabbage used is in fact sauerkraut (pickled cabbage), which gives a particular taste to the dish. The meat has to be quite fatty; sometimes pork greaves are added to increase the taste. This is a salad made of diced boiled vegetables (potatoes, carrots, parsnips, peas), as well some pickled cucumbers and red peppers and diced beef. The vegetables and beef mixes together with mayonnaise and mustard. Secret: Add grated onion - will do magic! There is also the Vegetarian version of it, with no meat added, only vegetables, called Russian salad. The salted fish eggs are mixed with oil and lemon until they are like a mayonnaise, then boiled wheat semolina and chopped onion are added. This is a traditional Vegetarian cooked meal, usually prepared in early autumn and bottled in jars, Romanians serving it spread on a slice of bread during Advent, in the fasting period before Christmas. The tastiest is cooked from grilled eggplants and red peppers using an outdoor barbecue. Spicy minced meat, rolled (the legend says the first Mici were in fact sausage fillings without skin), grilled on the barbecue – the smoke is a must for the final taste! You have to eat them with mustard and fresh bread roll. This is a specialty Romanians like to eat in the street. Actually, this is the first fast-food concept in Romania. 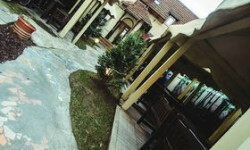 Small day bars with garden and barbecue, where you can hear the sizzling of the meat on the barbecue. 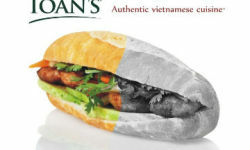 Passing by, you’ll smell the specific flavor flooding the streets. Do not hesitate, grab a beer too. This is the authentic borsch, the fishermen are preparing in the Danube Delta. It is said that the Danube water gives a special taste to this specific sour fish soup. Secret: this soup is best when combining several species of fish. 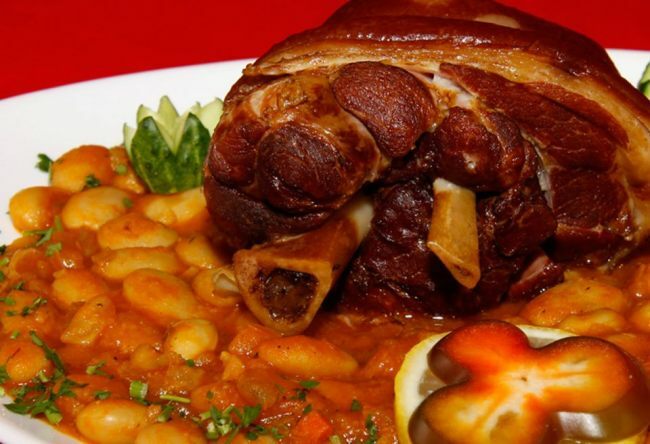 Smoked pork knuckle with beans sauce, used to be an army delight, served with pickles. 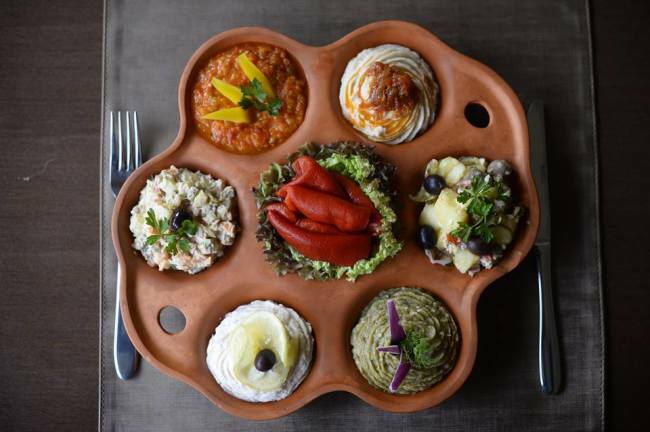 This is a dish usually served for free by the local authorities during national holidays, more or less army related, as a celebration of national identity and struggle. 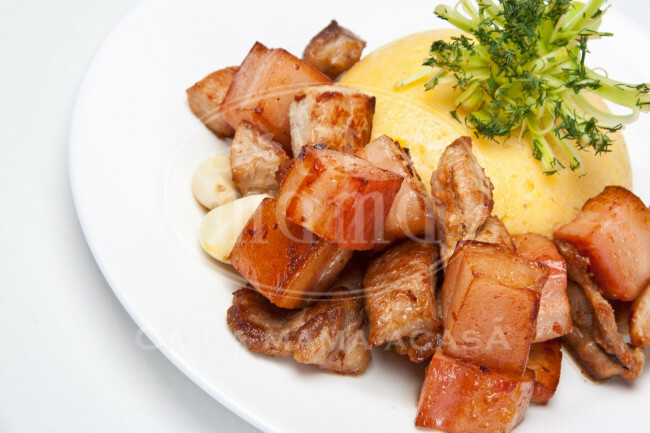 Secret: This dish is accompanied by tzuica (see below), helping to create the perfect mood. The specific taste is also given by the fact that the dish is prepared in large quantities (like in army canteens). Traditional spirit with approx. 40% alcohol, made from the distillation of plums. Its stronger alternative is Palinca (Palinka), usually prepared in Northern Romania (Ardeal county), distilled twice and made from different sorts of fruits. Yellowish, spicy (pepper and chili), sour (vinegar dressing), you’ll love or hate the Tripe soup. 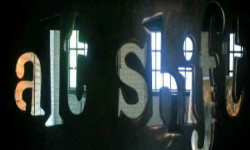 Certainly you won’t forget it. Highly recommended early in the morning (or late at night), after a white night in town and lots of booze.